Snooker, which is similar to pool, is played on a large (6 feet wide by 12 feet long) table, with small balls and small pockets, making the game very challenging. 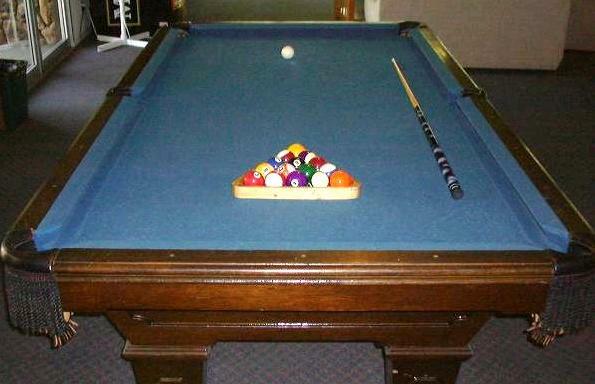 Snooker also uses more balls than pool. Cue sports Facts for Kids. Kiddle Encyclopedia.